Motorcycles are visceral machines, vehicles to which you react with your gut and your heart, not your head – ethos a’plenty, logos in short supply, as they say. Those of us who ride are always looking at bikes, even when we’re not looking to buy, and I think all riders keep an imaginary garage to store the bikes they lust after. This can go on for years and some of those garages can get pretty big. It can’t be helped. Usually, the bike you don’t buy is attributed to a) money, or b) the deep-down realization that you won’t ride it as you should. I like riding long distances, for example; and so the bikes I have suit me. That doesn’t stop me from putting bikes in my imaginary garage, though most of them probably would not be comfortable for cross-country rides. A 1995 or 1996 Triumph Speed Triple is parked at the front of my stable. I saw one at the Triumph dealer in Reno, Nevada, back when Triumph was starting a comeback under its new owner, John Bloor. 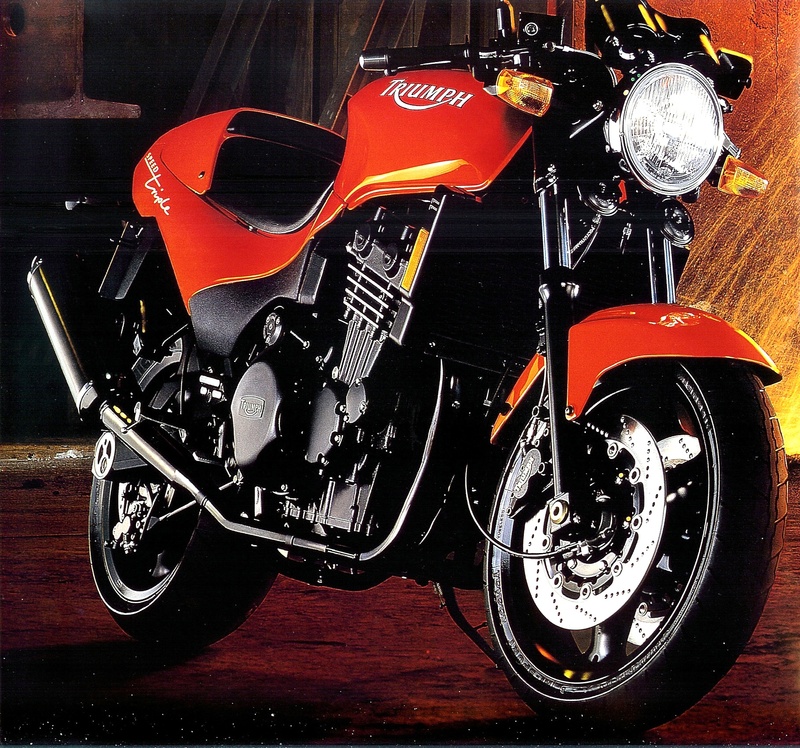 The Speed Triple was a 98-hp factory café racer, available in two colors, Fireball Orange and Diablo Black. That’s a beautiful bike, lean, lightweight, fast. It looked positively menacing in Diablo Black but I loved the iconic Fireball Orange. I had the poster in my workshop for years. Even now, I still think about getting one. 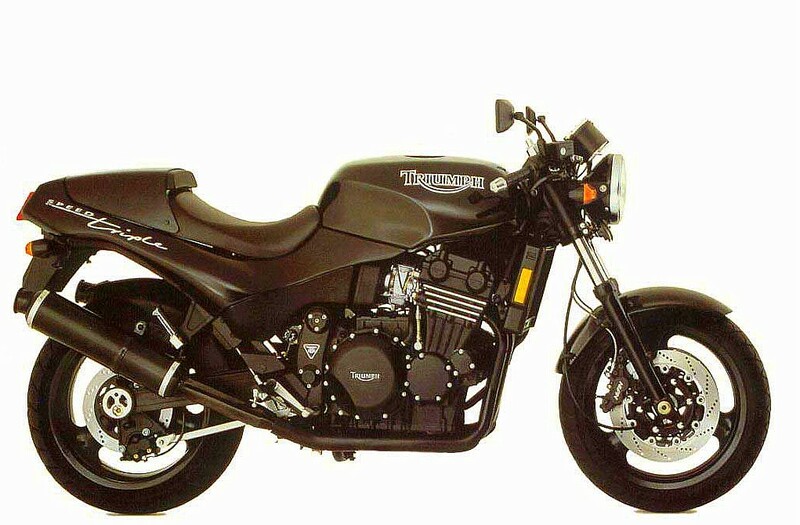 After 1996, Triumph spoiled the Speed Triple’s look by giving it dual headlights and changing it from a café racer to a streetfighter. That killed it for me, but I still love the ’95 and ’96 models. 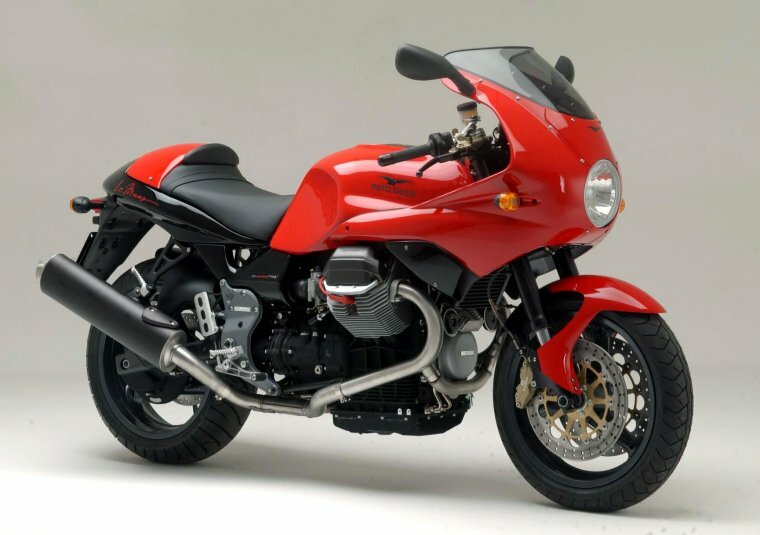 Next to the Speed Triple is a Moto Guzzi V11 LeMans, a 91-hp sport-tourer manufactured from 2001 to 2005. I saw a red one – the perfect color! – at a bike show in Washington one year and, like Mr. Bernstein, was never able to forget it. I fell into a daydream where I’d take it out West, in one of the empty states where all the highways are drawn dead-straight with rulers, open it up to 15o, and let it fly. So I think about the V11, too. Moto Guzzi has the v7 Racer these days, a sweet bike, but it’s not the same. 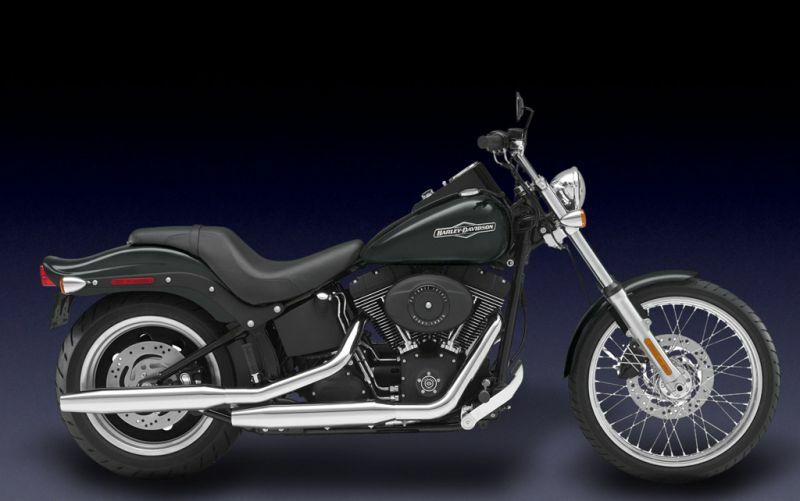 Then there’s the 1999-2009 Harley-Davidson FXSTB Night Train, a blacked-out Softail with stripped-down chopper appeal, though it’s certainly not a chopper. I loved the drag bars and the lean, no-nonsense visual aspect of the bike, but it wasn’t the bike for the type of riding I do. That doesn’t mean I don’t appreciate it, though. There are others, of course, like the mid-’90s Triumph Tigers and the 2004 Ducati 998 in Matrix-inspired green, and Honda’s CBR1000RR in Repsol livery. Or the BMW R1200R Linda and I rented in Vienna and rode through Slovakia and Hungary in 2009. These are all beautiful bikes. But they’re bikes I probably won’t get, unless I see a Speed Triple or a V11 for a really good price somewhere. That’s unlikely. Besides, I enjoy riding Endurance, my 2000 BMW R1150GS and Terra Nova, my 2012 Yamaha Super Tenere. And I’ll bet if I was riding a Speed Triple or a V11 I’d probably be on the lookout for a GS or a Tenere, looking to move them from my imaginary motorcycle garage to my real one.